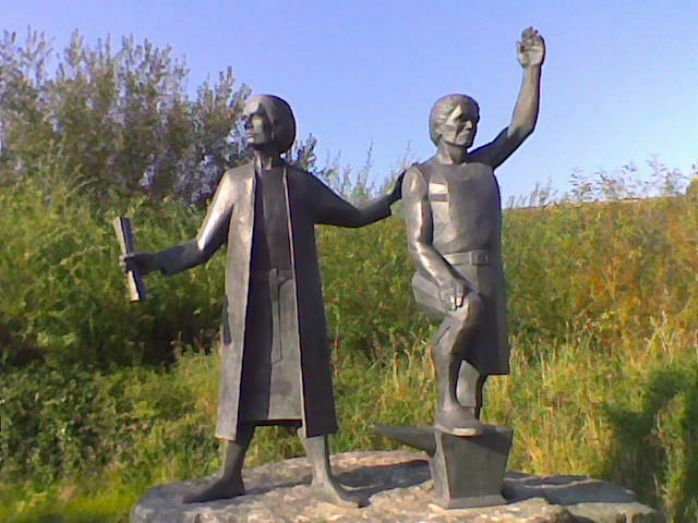 Joseph and his fellow leader, Thomas Flamank, a lawyer from Bodmin, were hanged, drawn and quartered at Tyburn on 27 June 1497. Flamank's last words were reputedly, ‘Speak the truth and only then can you be free of your chains’. Better known simply as An Gof, the blacksmith, Michael Joseph's boast has come true! Five hundred and twenty years later An Gof Day is celebrated on the 27 June in St Keverne, Bodmin and in London and the Cornish Rebellion of 1497 is usually known as the An Gof Rebellion. The An Gof Rebellion was a response to the heavy taxation that was levied by King Henry VII to fund his war with Scotland as a result of Scots support for the pretender Perkin Warbeck. This war was a very long way from Cornwall and there were strong feelings of resentment both in having to pay the tax and the draconian way it was being collected. Michael Joseph and Thomas Flamank emerged as leaders of this discontent and over 6,000 people assembled in Bodmin to march to London to petition the King. By the time they reached Devon the numbers had swelled to 15,000. Marching through Devon, they went on via Wells, Bristol, Salisbury and Winchester still gathering recruits and headed for Blackheath, Kent where they hoped to gain more support from the men of Kent who had twice in the last 100 years marched on London themselves. When support from Kent was not forthcoming the rebel numbers began to dwindle. The crunch came on 17 June 1497 when the Cornish Rebels were defeated at the Battle of Deptford Bridge. The leaders were captured and executed ten days later. In 1997 on the 500th anniversary of this uprising a commemorative march Keskerdh Kernow (Cornwall Marches On) retraced the route from St Keverne to Blackheath. 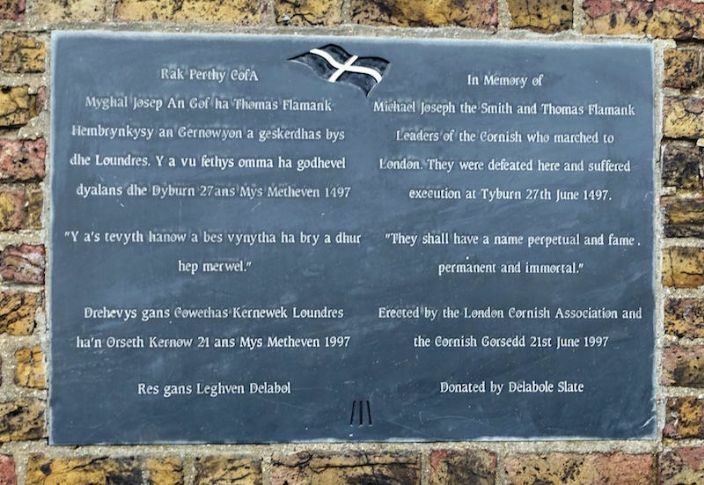 A statue depicting Michael Joseph and Thomas Flamank was erected at St Keverne and a plaque unveiled on Blackheath.